If you hold artwork within your self-managed super fund, then you should be aware that there are strict rules regarding the storage and insurance which took full effect from July 2016. The storage requirement was introduced to prevent SMSF trustees receiving a personal benefit from the SMSF investment. 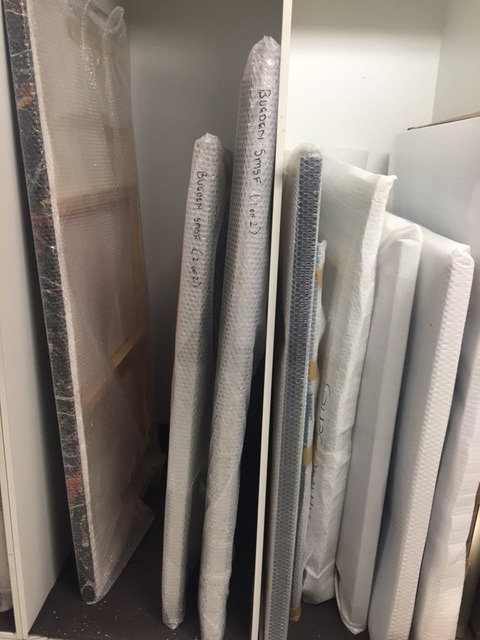 Hart storage has been storing art for SMSF’s since 2016 and together with David and Pro Hart’s stock, there is over $1,000,000.00 worth of art in our storage facility. Whether your artwork is a part of your SMSF or you require storage for another reason, you can be assured that your investment pieces will have the upmost care. A complimentary valuation is provided for the required insurance cover on all Hart family artworks or an outsourced valuation can be organised. There is no need for you to do a thing as we organise all of the insurance cover in your Super Funds name and can even get a competitive quote for your works to be collected by an Art Courier. Once the artworks are delivered, a condition report will be generated and the front and back of each artwork will be recorded. Hart storage is committed to providing an affordable storage solution with our cost down to half of other storage facilities. We look forward to offering a quote whether it’s for one piece or for your entire investment collection. With over $1m worth of art being stored in our facility, feel assured that safety and security is our highest priority. Our valuation service is complimentary on all “Hart” artworks that will be stored with us. Our storage prices are down to half of other storage facilities. We are happy to offer you a free quote for all your art storage and insurance needs.